Prominent & Leading Manufacturer from Hyderabad, we offer house wire, pvc insulated electric wire, champion house wire, 1.5 sq mm pvc insulated wire and 2.0 sq mm pvc insulated wire. 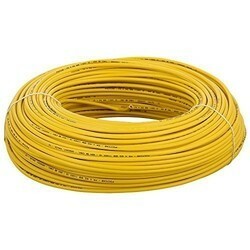 We are a leading entity, occupied in presenting a wide range of House Wire. We are leading manufactures of the PVC Insulated Electric wire with best quality across Hyderabad,andhrab pradesh. Owing to our affluent industry acquaintance, we present Champion House Wire. With an intention to enhance the standing we have built, we are occupied in offering a wide collection of 1.5 Sq mm PVC Insulated Wire. 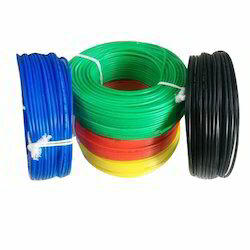 Our organization is ranked amongst the reputed names in the market for providing 2.0 Sq mm PVC Insulated Wire.